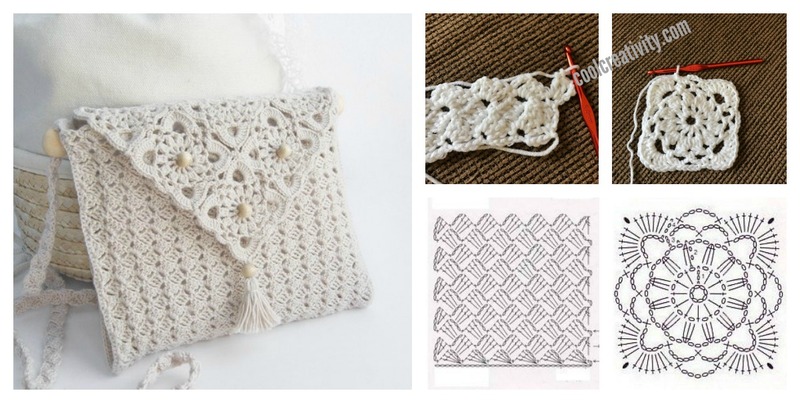 This Crochet Handbag is very elegant and beautiful. The graphics make it look very special. It is ideal to take to a party. 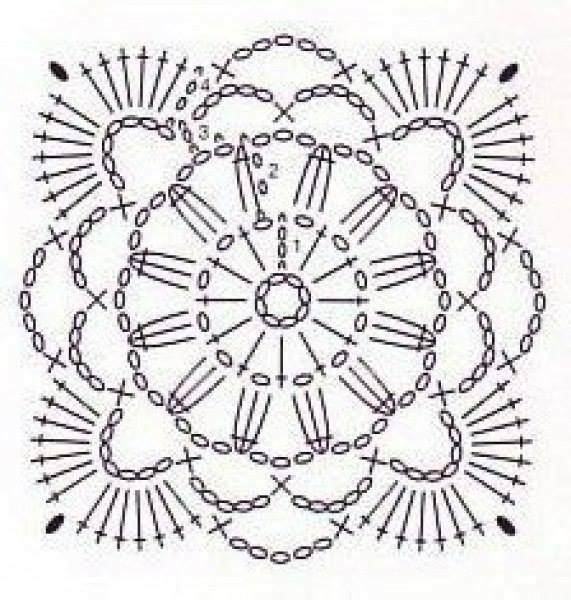 If you want to learn how to make one, here is the free pattern that you can refer to. Depending on the yarn and the size of hooks, you should crochet 6 flowers first, then decide the size of the handbag. If you want to have a smaller size of flowers, you can adjust the stitches of last round of petals. Round 2：3 chain, 12 double crochet. sl st into 3rd chain. Round 3:3 chain, 2 half double crochet, [ 3 chain, 3 half double crochet]*11, 3 chain, sl st into 3rd chain. Round 4: 2 sl st space of round below 3 chain, [7 chain, single crochet next 3 ch space below, 5 chain, single crochet next 3 ch space below, 5 chain, single crochet next 3 ch space below] *4，sl st into 1rd chain. Round 5: single crochet space of round below 7 chain，3 chain, 6 double crochet, 1 chain, 7 double crochet into same space. single crochet next 5 ch space below. [5 chain, single crochet next 5 ch space below. 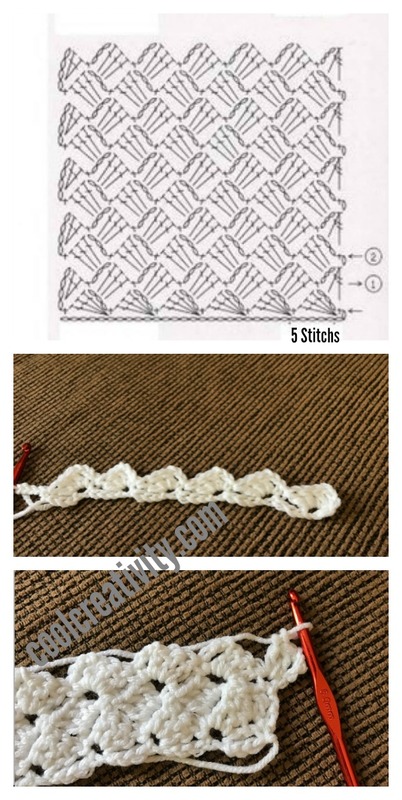 7 double crochet ,1 chain, 7 double crochet next 7 ch space below. single crochet next 5 ch space below] *3, 5 chain, sl st into 1rd chain. Crochet 6 flower pieces with same size and then join them together. Row 3: 4 chain, 2 double crochet at same space, single crochet at next 3 ch space below. 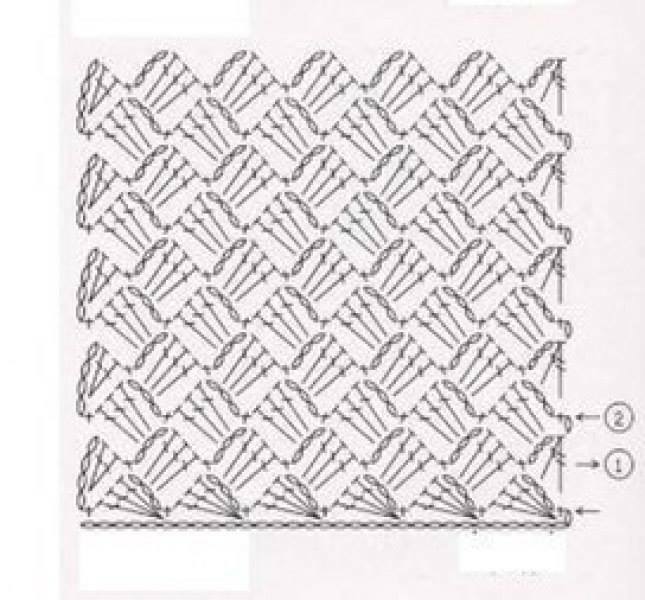 [3 chain, 3 double crochet at same space,1 single crochet at next stitch] *5. 3 chain, 1 half double crochet at next 3 ch space below, 1 treble crochet at first double crochet space. then draw yarn through 3 loops on hook. Repeat [Row3, Row 4] until you reach the desired length. I love it when you share! Please keep in mind that all text are property of Cool Creativity, unless other is stated. Feel free to use some photos provided that a link back to my original post is included. Pinning is always welcome and appreciated! Thank you! Please send me messages in facebook if you have any questions.